She’s the executive director of Grand Canyon University’s Center for Innovation in Research and Teaching (CIRT) where she leads and manages online education research initiatives. She speaks at numerous conferences across the country annually on best practices in online education. She teaches six GCU online doctoral psychology courses. She’s written more than 85 scholarly journal articles and 11 book chapters. 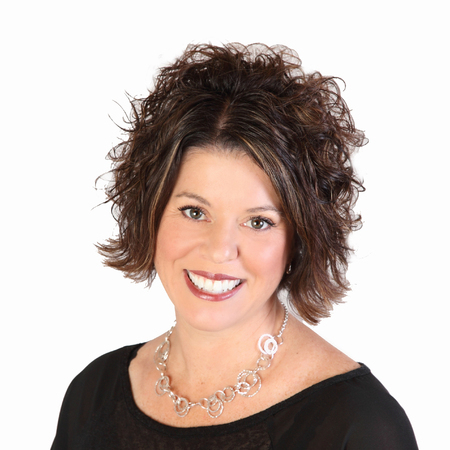 Mandernach does all of this as a stay-at-home mom of four children ages 7, 9, 11 and 12. OK, slow down. You’re making the rest of us look bad. 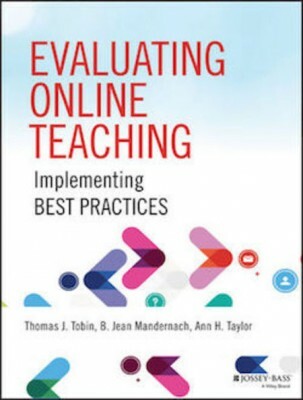 One of Mandernach’s biggest accomplishments is her recent book, “Evaluating Online Teaching: Implementing Best Practices,” co-authored with Dr. Thomas Tobin of Northeastern Illinois University and Dr. Ann Taylor of Penn State University. The 304-page book recommends strategies universities can use to effectively measure the quality of online teaching and provides tools and guidance for faculty members. It can be viewed or purchased here or on Amazon. Mandernach, Tobin (listed as lead author) and Taylor shared the primary writing responsibilities, each authoring four chapters. The book took 18 months to complete, with the three collaborating via telephone daily from different states. Mandernach, who lives in Nebraska, is scheduled to discuss the book at eight online learning conferences. Now that the book is published, she has only one word to describe her feelings — relief. The authors first met in 2013 when they were keynote speakers at a Phoenix conference about evaluating online education. At the time, no comprehensive books for faculty and administrators regarding online teaching existed. The three decided to combine their expertise and best practices from their respective universities to write a book others could use. “Evaluating Online Teaching” was published in June by Jossey-Bass and is ranked No. 1 in Amazon’s “Distance and Online Learning” and “Computers and Technology” categories. The benefit to readers, Mandernach said, is the book’s flexible application and ability to remain relevant as technology and practices evolve. “Evaluating Online Teaching” is ranked No. 1 in Amazon’s “Distance and Online Learning” and “Computers and Technology” categories. “Evaluating Online Teaching” addresses challenges universities face in creating effective online teacher evaluations and provides practical solutions geared to foster effective, efficient evaluations. It is designed to guide faculty members and administrators in crafting an evaluation process specifically suited to online teaching and learning, for more accurate feedback and better results. Readers have access to customizable rubrics and worksheets that fit the various needs of online institutions. Tobin, coordinator of learning technologies at NIU’s Center for Teaching and Learning, said Mandernach brought her expertise on large, scalable programs and data analytics to the book. He credits her for perfecting the online evaluation program she designed at Park University in Parkville, Mo., then brought to GCU when CIRT opened in 2010.